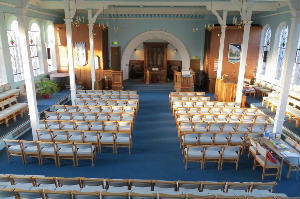 Christchurch was formed in 1990 by the union of Deneside Methodist Central Hall, Middlegate United Reformed Church and Cobholm Methodist Church. 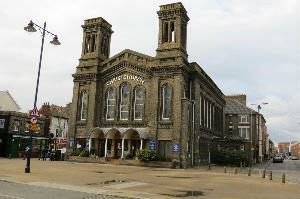 The church is located in the centre of town opposite St George’s theatre. The former Methodist Central Hall was refurbished to provide a multi-purpose building accessible and equipped for the needs of all people and providing for concerts, exhibitions, small conferences, with various rooms used for meetings by local organisations. The Church is on the first floor. There is also a small Chapel downstairs for private prayer. There is no Sunday School but activity packs are available for visiting children. Our Coffee Shop is open 10am – 2pm (Monday to Friday) and 10am – 12 noon (Saturday) serving all kinds of refreshments including a varied selection of lunches. 2nd & 4th Bible Study 7.30pm at Church. 1st of each month (not January) Denesiders Social Group meet at 7.30pm with visitors welcome.